An investigation by Franklin Police and the Williamson County Sheriff’s Office has landed a serial auto burglar back behind bars. 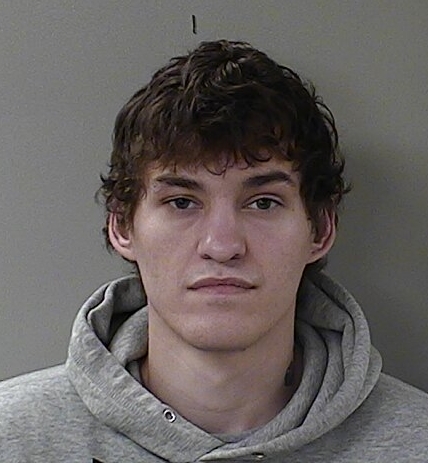 On Tuesday, Franklin PD and Williamson County Detectives arrested 23-year-old Richard Hartman, of Murfreesboro, in the trailer park at 800 Rock Springs Road, in Smyrna. Detectives developed Hartman, a convicted felon out on probation, as the suspect responsible for dozens of auto burglaries throughout Franklin and Williamson County. At the time of his arrest, Hartman was armed with a handgun stolen from a car in Franklin’s Ladd Park Subdivision earlier that same morning. Franklin Police charged Hartman with Possession of a Handgun by a Convicted Felon. He is being held in the Rutherford County Jail on that charge. Hartman, who already has a lengthy history, faces several new Auto Burglary charges in Franklin and Williamson County. He will be transferred to the Williamson County Jail at an undetermined date.